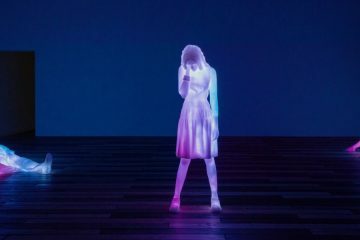 Archives, memory, media obsoleteness and the archaeology of the future are at the core of Mika Taanila‘s works, where borders and points of connection between art, photography and cinema are extremely porous. Taanila’s works are sophisticated in terms of research as well in their use and editing of historical material. The artist and filmmaker (born in Helsinki in 1965) studied anthropology before devoting himself to cinema, and the desire to explore histories and forms of reality has always been present in his work. 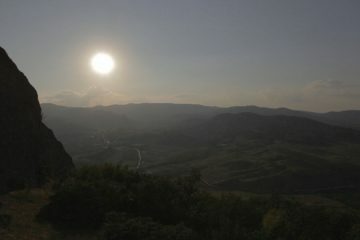 A poetics of reality in which archive materials, obsolete media such as VHS tapes, found footage, photographs, and images from TV and contemporary advanced film techniques are precious sources for reflecting on the ways in which technological devices, and their obsoleteness, have redefined the mediascape. In some of his works the artist revises utopian projects from science and technology to explore the representation of the future and progress. Futuro: A New Stance for Tomorrow is a documentary about the rise and fall of the plastic Futuro House, a Space Age utopia that almost became a reality. 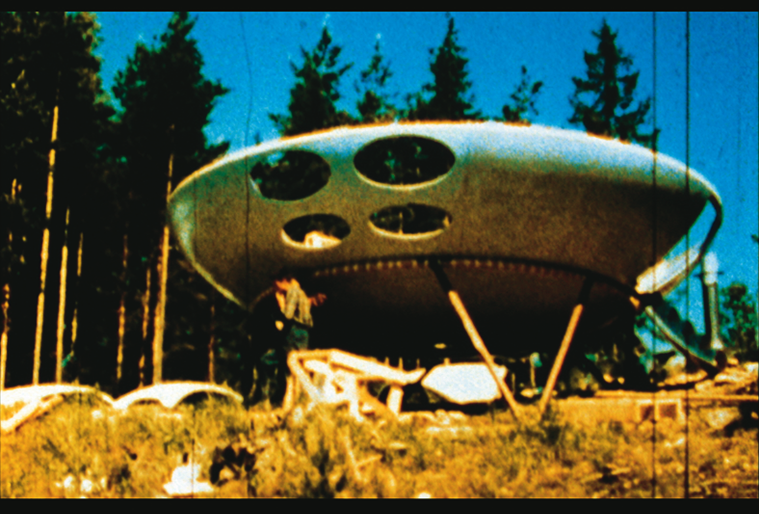 Designed by the architect Matti Suuronen the Futuro leisure home was unveiled from 1968 till 1973 and licensed to 24 different countries. Their flying saucer-like elliptic shape reflects late-60s optimism about the forthcoming conquest of space. They are now in the collection of the Central Museum of Utrecht, Boijmans Museum of Rotterdam, and we can find them in different countries like New Zealand and South Africa. The Future Is Not What It Used to Be is his documentary based on Erkki Kurenniemi’s life and work, a pioneer of multimedia art, a techno-utopian and enthusiastic scientist, passionate about the changes he designed himself, according to the cyber-utopian counterculture of the 60s, which extended to diverse fields like robotics, electronic music, experimental cinema, interactive installations. 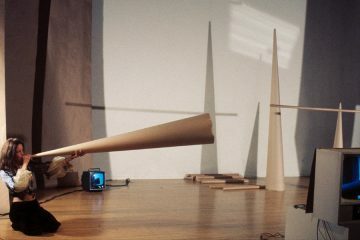 He was active on the early development of analog computer and synthesizers and in the creation of multisensorial devices, experimental music compositions and films. Taanila has detected utopian projects and experiments not only in historical archives (as mentioned above) but also in found footage films that are full of mystery and promise. For the video-installation The Zone of Total Eclipse he used a scientific, found footage film that was shot in 1945 in Poroluoto (western Finland) by participants of an expedition organized by the Finnish Geodetic Institute. They wanted to measure the geographical distance between two continents, Europe and North America, using the medium of a 35 mm film, during a solar eclipse. They failed but their failure became the material for Taanila’s work. Twilight is composed by the footage that was shot during a scientific experiment conducted at the Department of Biological Science at Helsinki University, on common toads (Bufo bufo) trying to catch rubber “worms”. At the Finnish Film Archive he found the footage of a physics experiment, labelled with a dirty sticker saying ‘physical ring’. His attempts to find out more about the experiment led nowhere. All we can see are kinetic elements that look like fire, magnets, heat, and metal. 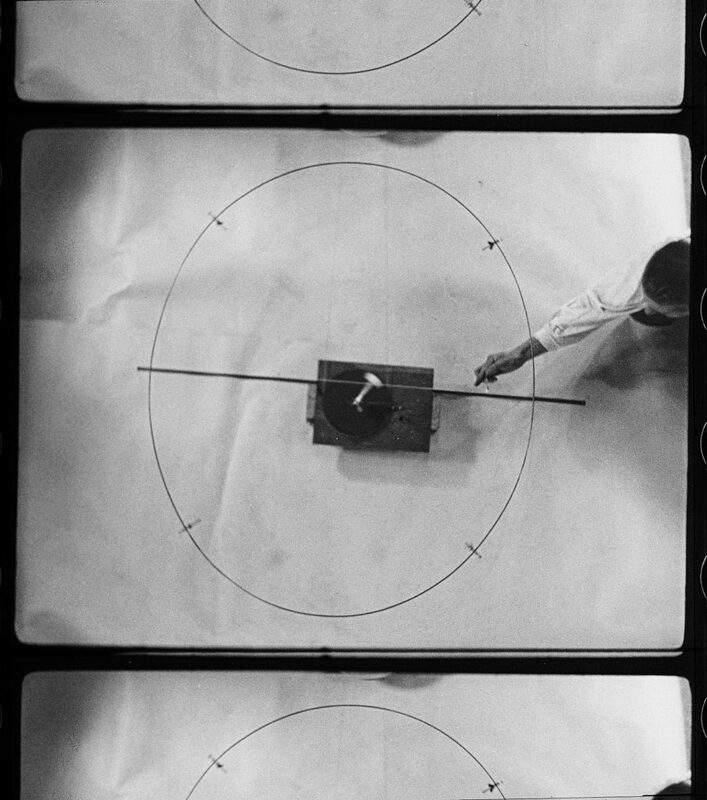 A Physical Ring is the ready-made film on that footage. In the installation SSEENNSSEESS the projectors show early 50s scientific footage from Helsinki University’s Department of Phonetics while the artist plays with sound by manipulating two soundtracks. The looping of the images and sounds at mismatched intervals creates a work that is never the same at any two moments. His video installation Verbranntes Land, is a found footage work based on an instructional video about VHS quality, in which he used split screens where the passage of time wipes out electromagnetic data flows. The work is a metaphor for memory processes, a seven-minute brain scan. Are we forgetting to remember? Even if digital technologies allow us to retroactively sharpen the lens through which we analyse documents and artifacts from the past, and unveiling new data and new perspectives, Taanila looked for other ways to do it. Memory can act as a sort of time machine capable of determining actions and images. Black and White Movies has been a way to test his memory of some movies, and what remains from their vision in his mind. Black and White Movies are photograms created without the aid of a camera, images that are what remain of old VHS tapes that he have accumulated over the years. They are all inspired by scenes of violence that stayed in his mind after seeing the films. If the protagonist of the movie hit his head against a rock, Taanila hit the VHS tape against a rock. At the end of the performance he gathered up the remains of the tapes on photosensitive paper in the darkroom, and each photogram is named after the film from which it was taken. “My fascination with VHS involves various aspects of memory. I believe that the look of grainy VHS tape, with its imperfection invites the viewer to participate more actively then an ultra-clean digital copy does. VHS functions in the same way of our brain. As I age, I notice that I’m losing data little by little. This slow process is sad and merciful at the same time because it would be a burden to be able to remember everything. VHS and audiocassettes are very “human” formats that mirror my own way of thinking”, the artist explains. In Taanila‘s works there is never just one temporal dimension, the past to the future, or vice versa. He travels through time in all directions, past present and future. What is time? How do we order the past, the present, and the future? Could be the artistic practice a device for exploring time? Taanila seems to analyze these questions in his time-lapses. 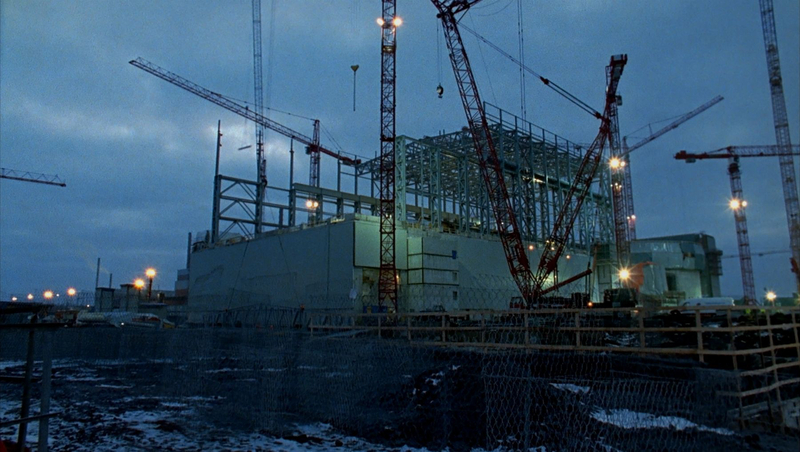 The documentary Return of the Atom, co-directed with Jussi Eerola, regards the building of the Finnish Olkiluoto nuclear power station, the first of this kind after the Chernobyl nuclear disaster, which should become operative in 2018. They used Russian and American archival footage from the ’50s that take us back many decades ago, when nuclear power stations were full of promises and a jump forward into a radiant future, and contemporary advanced film techniques. 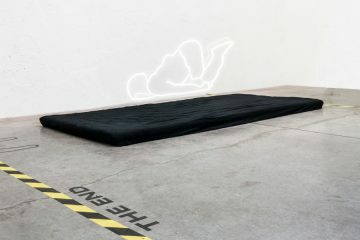 The documentary portrays the strange and stressful life in a small “nuclear town” (called The Most Electrified Town in Finland, this is also the title Taanlia gave to his video installation based on Return of the Atom, premiered at dOCUMENTA (13) in 2012), during an era of nuclear renaissance. There’s hardly any anti-nuclear movement in Eurajoki, the local residents have adapted to the invisible stress inflicted by their nuclear neighbor. More focused on the idea of future scenario is his short film RoboCup99, shot during the 14 days of the robot football World Cup held in Stockholm in 1999. The robot players were intended as sophisticated and advanced robotic devices at that time, even though now they look obsolete, and make us smile. None of the robots is long for this world, they are useful jokes to scientists, experiments for potential use in the future. Also in his video installation Optical Sound Taanila deals with technological devices that look obsolete right now: dot matrix printers. He documents and records the sound of old dot matrix printers at work, transforming them into unexpected low-tech musical instruments by the artists’ collective [The User]. The obsoleteness of the dot matrix printers seduce with their abstraction and apparent imperfection. 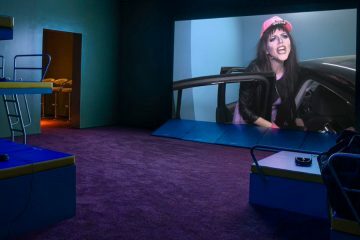 Taanila invites us to reconsider the ways in which technology has redefined our mediascapes and the world we live in. This is, indeed, a habitat becoming more and more artificial, and he studies it as it is being shaped through the years. We live in an era which is overloaded with imagery. Uncomfortable dizziness rises, if we lose the images we are supposed to consume. Taanila analyzes the continual obsolescence of various media, which demonstrate technology’s implicit failure (or resistance) to evolve alongside us (and vice versa). “I’m interested in ‘Human engineering’ and I’m trying to understand how technologies devices are impacting our subjectivity and our perception of reality, and how technology will change our lives in the near and distant future” Taanila points out.